Do you know South Korea? Do you like Super Junior or Girls Generation? Well, those questions are related to each other. Girl bands and boy bands become the characteristic of South Korea. I have one experience that was related to boy bands from South Korea. 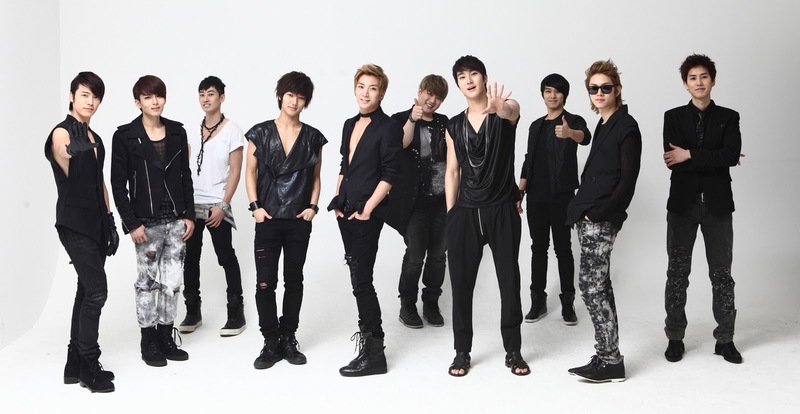 One day, I saw music channel in my television, and I saw Super Junior music video. They were dancing and singing. Although the song was not really good at the first time, they always appeared in that music channel. So, I slowly like them. Actually, Super Junior and the other boy bands are just one of the characteristics of South Korea. Many people from around the world know South Korea very well, because of its entertainer, dramas and culture. South Korea has many entertainers who become the characteristic of it. Many entertainments in South Korea produce girl bands and boy bands. The girl bands and boy bands are trained to have a good voice, a good act, and a good dance. They also have pretty faces. Although it is because of plastic surgery, many people do not care about that and still love them. So, it is not rare that entertainment in Asia is dominated by South Korea's entertainer. One of the characteristics of South Korea besides its entertainer is its drama. South Korea's drama has an interesting way to attract the audience. It tells us the daily life problem, for example the economic of the family, the romance between two person and so on. It is very interesting because the problem of the story mostly comes from reality. It also has short episodes, so that we as audience do not get bored. In the Korea's drama, South Korea's culture is shown; thus, South Korea introduces its culture by its drama. From Korea's drama, we know much about its culture. We can see the culture of South Korea from its people. People of South Korea have a common way to eat, talk and behave. The way they eat is very greedy, because they put the foods together into their mouths until it is full with foods. They also have a high-respect to old people. They will bow deeply and talk softly to old people. That is the culture that we usually see in South Korea's people daily life. South Korea becomes the popular country, because they have many girl bands and boy bands that have many girl bands and boy bands that have many fans from around the world. The dramas also can introduce South Korea's culture to audience. So, people will know its culture from the way they talk, eat and behave. Moreover, South Korea has great ways to introduce its characteristics to the world.